Fasting and prayer does one main thing: it brings us closer to God. This is what I like to call the 2 and 1. These 2 disciplines, fasting and prayer, coupled together will bring us the 1 thing every believer should desire most; a closer relationship with Christ Jesus. And this 1 thing has the power to transform everything around us. QUESTION: How are you drawing nearer to God? Drawing near to God is vital to our relationship with Him. I remember when I was in a dating relationship with my now, wife. After her first year in college she moved back up to northern Wisconsin where her family was while I was still living and working in Chicago. My godly mother one day reminded me of the old adage: ‘long distance relationships don’t last’. So, I packed up, left my job, and moved to Wisconsin. I’m pretty sure that’s not what my mother had in mind when she said it, though she would be the last to complain today. Her old cliché does hold bearing however. We cannot stay far away from Christ and still have a great relationship with Him. A long distance spiritual relationship will not work. This is why James, the pastor of the early church in the New Testament, encourages us to draw near to God. That our relationship with Him will remain as strong as it was the first day we found Him and grow deeper with each passing moment with Him. This can only be accomplished through close relationship. And then James informs that God actually draws near to us as we draw near to Him. Wow! what a thought, God getting closer to us. Not that He regularly stays far away from us, for He is that “friend that sticks closer than a brother”; but that God chooses to reveal himself more fully to those who are longing to be in His presence. How can one show God there longing for His presence? James instructs us to humble ourselves and resist the devil. Humility stands in opposition to pride. Turning to God in prayer instead of to ourselves, or other sources, we come admitting that we are insufficient and He is all-sufficient. This is what God wants from us; a complete surrender. The Psalmist once said that “a broken and contrite spirit He will not refuse“. To resist the devil means to turn away from everything that the devil presents us with. Jesus resisted every temptation of the devil in the wilderness (John 4). How was He able to do this? Through the 40 days of fasting prior. By fasting, you turn away from the desires of the flesh and long after the things of the spirit. By prayer, you turn toward the desires of the Father and renounce the pride of human nature. Fasting and prayer are crucial to drawing nearer to God. QUESTION: What do you desire from God? We must believe that God will reward our prayer and fasting efforts with something greater than what we currently have. 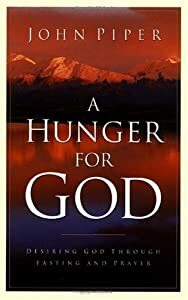 Pastor John Piper, in his book A Hunger For God: Desiring God through fasting and prayer, wrote that “If we don’t feel strong desires for the manifestations of the glory of God, it is not because we have drunk deeply and are satisfied. It is because we have nibbled so long at the table of the world. Our soul is stuffed with small things, and there is no room for the great.” John Piper makes the obvious connection here that our drawing nearer to God is stifled by our appetite for other things. Fasting and prayer will squash this-worldly appetite and place within us a desire for greater things. What can be greater than the manifestation of the glory of God. I believe this is the reward mentioned in Hebrews 11:6; The Glory of God. Our desire for the glory of God is heightened as we fast and pray. And God will reward us with His glory as we seek Him through fasting and prayer. 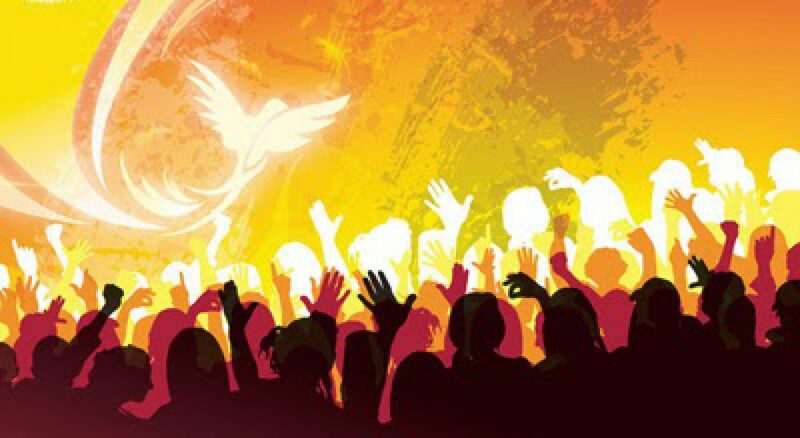 Paul tells us that the “kingdom of God is not meat and drink, but righteousness, peace and joy in the Holy Ghost” (Romans 14:17). You see, when we are seeking after the things of the flesh, like meat and drink, we will never obtain the things of the spirit. But, when we seek after the things of the spirit, we will also attain all things that we need in life. Jesus Himself assured us this when He said “but seek ye first the kingdom of God, and His righteousness; and all these things shall be added unto you.” (Matthew 6:33) What are the ‘these things’? Verses 25 through 32 describes them as all things we need for life; food, drink, and even clothing. As we put aside all other desires and pursue His glory, we can by faith know that God will take care of our every need. QUESTION: Can fasting and prayer change the world that we live in? At the conclusion of the construction of Solomon’s Temple and at its dedication, there was much joy and feasting for seven days and the miraculous presence of God was their. But on the 8th day, we read that there was a Solemn Assembly. 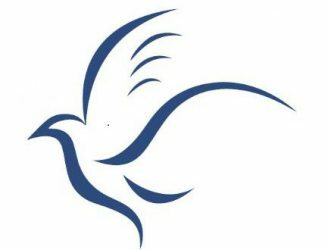 For the Jewish people, a solemn assembly included much prayer and fasting. The prophet Joel in calling the people back to God tells them to ‘Consecrate a fast; call a solemn assembly’ twice (1:14, 2:15). Clearly to Joel, fasting and prayer were to be a part of the assembly, that would bring the people back to God and God back to the people. Joel, prophetically speaking about the solemn assembly, wrote “Yet even now,” declares the LORD, “return to me with all your heart, with fasting, with weeping, and with mourning; and rend your hearts and not your garments.” Return to the LORD your God, for he is gracious and merciful, slow to anger, and abounding in steadfast love; and he relents over disaster. Who knows whether he will not turn and relent, and leave a blessing behind him”. To Joel, fasting and prayer could change the circumstances of the nation and bring Gods blessing instead of total disaster. So, how important is prayer and fasting and why was this done at a temple dedication ceremony? Hello there, You’ve done an excellent job. I will certainly digg it and in my opinion recommend to my friends. I’m sure they will be benefited from this site. Thank you Marguerite for your kind words and recommendation.